ShikshaAbhiyan strives to provide quality education to everyone regardless of their socio-economic background. The educational sector has also significantly shifted from the mundane pen and paper days to an era that is technologically and digitally based. Education should not be limited to mugging facts or passive classroom settings. Thus we at ShikshaAbhiyan offer a comfortable, productive and interactive environment which aims at engaging students in all facets of education. We focus on the holistic nature of all learners ensuring that we take care of their individual wants and needs. Through our mentoring, guidance and assistance students will be able to uncover their own unique personalities, gain new confidence and obtain quality education which will empower them with the necessary tools to achieve success for life. We offer online coaching, live classes, face to face classroom sessions and extra educational material for CBSE students from Classes 9 to 12. For classes 9 and 10, we offer online coaching and tuitions for Mathematics and Science. For classes 11 and 12, we cover a wider range of subjects including Physics, Chemistry, Biology, Mathematics, Accounts, Economics and English. Additionally, our Walk Your Talk and Live Free programs are initiatives aimed at providing comprehensive education to help individuals identify their true potential. Engaging and positive learning environment. 24*7 access and study from anywhere, with just an internet connection. Vast, detailed, updated and extensive educational material. Well planned and detailed assessments to track students’ progress. User friendly website and app to facilitate learning. Regular assessment and analysis of performance to monitor progress, for both parents and learner. Additional psychometric tests made available to students for assessing their aptitude and recognizing their training needs. 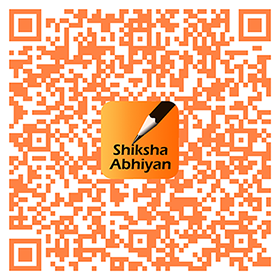 ShikshaAbhiyan plans to provide an exclusive section for students with study materials in languages other than English. Students whose medium of instruction is a regional language such as Hindi, Tamil, Telugu, Marathi, or any other Indian language, can still benefit from all ShikshaAbhiyan’s offerings, in the language they are comfortable with. The team at ShikshaAbhiyan has been into teaching for over 10 years now. We aim at helping students achieve 100% of their potential. Since the time we began our operations, most of our students have not only achieved academic brilliance but also have emerged as confident and independent individuals.